Hi. I am so so sorry for not putting up a post on PYH Series yesterday. Forgive me, please. I had an extremely busy weekend. By Sunday night, honestly, blogging was the last thing on my mind. So, instead of writing in my diary, my diary was writing to me. Lol. If you’re telling yourself that you’re too busy to write, then you really have to take a deeper look at what’s really going on in your life. Are you coming home and collapsing in front of the TV every day at the end of an exhausting day? Are you coming home to bury yourself inside a book because you are too emotional? Are you getting your mind occupied with the thoughts of the past that you can't see the beauty in this very moment? Then stop it. Get serious about your Heart Rays. 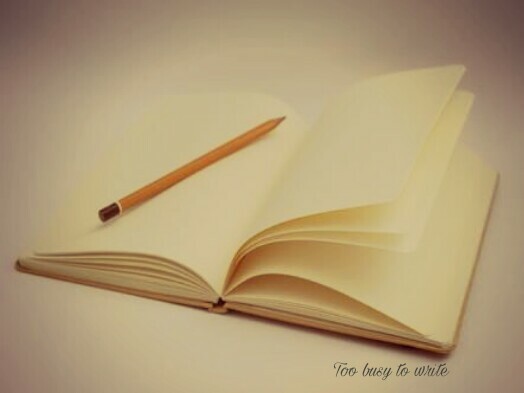 You were put here to write, so write. There is light. Even in the midst of the darkness, light exists. Open your eyes. I know you don't use an alarm clock. But try and get one tonight. You can use the one on your phone. Set it for 15 minutes early tomorrow, and when it goes off, get up. Mean it when you say you’ll write. Follow through. Let the other things come later. And it will. Writing is power. Writing is a gift. It is a blessing and a miracle. It comes like magic. And its magic is ever pure. Writing deflects pain or questioning, organize it, assign meaning and make it your own story. Get up and start writing. You can write for just 15 minutes. Then call it a day. Go on and go to work or all the other things you’ve got to do. You'll see how it feels to have met your muse FIRST in the day. You'll see how that sense of freedom, hope, inspiration and positivity permeates the rest of the day, because you’ve expressed your Heart Rays first. This is how to write when you are too tired or too busy. I prefer to be left alone when I'm tired. How about you - Do you prefer to have someone to talk with or to be left alone? Would You Rather Win The Battle Or Win The War?